The clarity is another important characteristics when evaluating gemstones. We use the grading scheme shown below. Flawless. Have no inclusions or blemishes visible under a loupe with 10 times magnification. Perfect quality. Internally flawless. Loupe clean; free of inclusions. These gems have microscopic inclusions which are difficult to see under a loupe with 10 times magnification. Extra fine quality. Very very slightly included 1. Almost loupe clean; very, very slight inclusions. Inclusions barely seen under 10 times magnification. However, the beauty of the gem is not diminished in anyway. VVS1 denotes a higher clarity grade than VVS2. Pinpoints and needles set the grade at VVS. Very fine quality. Very very slightly included 2. Almost loupe clean; very, very slight inclusions. Inclusions barely seen under 10 times magnification. However, the beauty of the gem is not diminished in anyway. VVS2 denotes a lower clarity grade than VVS1. Pinpoints and needles set the grade at VVS. Very fine quality. Very slightly included 1. Eye clean; very slight inclusions. Inclusions can be seen under 10 times magnification. However, the overall beauty of the gem is still not diminished. VS1 denotes a higher clarity grade than VS2. Fine quality. Very slightly included 2. Eye clean; very slight inclusions. Inclusions can be seen under 10 times magnification. However, the overall beauty of the gem is still not diminished. VS2 denotes a lower clarity grade than VS1. Infrequently some VS2 inclusions may still be visible to the naked eye. Fine quality. Slightly included 1. These gems have small inclusions which can be seen under the close naked eye. These inclusions are usually not really visible at an arm's length. SI1 denotes a higher clarity grade than SI2. Good to medium-high quality. Slightly included 2. 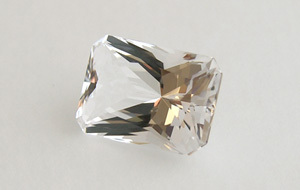 These gems have small inclusions which can be seen under the close naked eye. These inclusions are usually not really visible at an arm's length. SI2 denotes a lower clarity grade than SI1. Good to medium-high quality. Included 1. Included gems with internal features that range from eye visible to very easily seen to the naked eye. I1 denotes a higher clarity grade than I1 and I3. Medium to the lower qualities. Included 2. Included gems with internal features that range from eye visible to very easily seen to the naked eye. I2 denotes a lower clarity grade than I1 and higher than I3. Medium to the lower qualities. Included 3. Included gems with internal features that range from eye visible to very easily seen to the naked eye. I3 denotes a lower clarity grade than I1 and I2. Medium to the lower qualities. Appears clean to the unaided eye. Minor inclusions somewhat easy to see with the unaided eye. Noticeable inclusions apparent to the unaided eye. Prominent inclusions that have a negative effect on either appearance, or durability. Prominent inclusions that have a severe effect on appearance, durability, or both. Allow light to pass through, can be heavily included. Some gems are naturally translucent. Does not allow light to pass through, highly included. Some gems are naturally opaque.